In 2019, Millennials (23-38 years old) will take over the earth as the largest living adult generation projected to number 73 million, according to the Pew Research Center. There are a ton of facts and figures on this subject but most of us don’t need to look past the mirror to know that making a difference in some manner to something bigger than ourselves feels good… whether it’s dropping some change into a jar, dropping some clothes off at Goodwill, or dropping $20 for Girl Scout Cookies. Finding a cause for your business to champion not only makes you feel good, but it also makes your customers feel good about working with you. Here are a few ways to start showing your support and growing yours. Looking at your current customers, what common characteristics do the majority share? Geographical location? Industry segment? Age? Are they mostly men or women? Once you have the general persona defined, do a little research and choose a cause that will resonate with your base while holding true to the values you want to project for your business. What customers do you want to be working with? The right cause can be an excellent door opening tool. This will entail some research into what the prospects of your dreams care about, the causes they are involved with personally and professionally, and causes their companies may champion. You don’t necessarily want to duplicate, but a tangent cause or one that overlaps to help support the main cause common denominator shows you are “one of us” from their perspective. I recorded a fantastic podcast with Vanecia Carr, Director of Customer & Brand Marketing at Domtar, about millennials and how the print industry can attract and maintain them throughout their career, or for at least 2-5 years since that is the average amount of time they stay in one place per Deloitte. When the subject of causes came up, V, as she is known to all of us in the Printerverse, was quick to add that taking up a cause for the sake of having a cause is not sustainable or authentic. As a matter of fact, for Domtar sustainability is more than a cause, it’s the foundation of their business and a core company value to make the forests and towns that support their mills better for everyone. V adds that a cause is “a direct reflection of who a company is,” and the customers they attract through their community work, which goes way beyond sustainability, are already on board with supporting Domtar and their mission. That is some very powerful loyalty. Although there are exceptions, stay away from religious, social and political causes as your cause. An exception might be that your current customer base and prospects all share the same views across all the belief/support boxes, and you are willing to potentially alienate those who don’t fit into those boxes. If your business does fit into the exception, promote your cause/s in a self-contained environment… aka preach to the choir, directly. Once you share those beliefs out in the open, through ungated content or social media, you run the risk of commentary from opposing views and spending significant time monitoring those shares. You may gain some attention a few new supporters along the way, but you also may find this falls into the “was it worth it?” category more often, than not. There is always a fine line between doing something good, and self-serving promotion of it. When it comes to causes, however, telling your story is super important. Tell it through the people who have been helped, and keep the ‘you’ part to a minimum. Send an email announcement to your current customers letting them know that by working with you, they are helping the world. Send an announcement email to prospects about the cause your business is donating x% amount of profits to each year and how proud the company is to give back. Include a direct link to the cause for further information – NOT TO YOU! This is about attracting people who want to be involved with an authentic, giving company. Let them come to you, and make sure you have a page dedicated to this subject on your site that is easy to find, and navigate to from a mobile device. Is Our Cause a Cause? If you are looking for a cause to support, Print is a great one! There are a plethora of student scholarships that need support, the Graphic Communication programs in colleges need support, SkillsUSA and high-school vocational programs need support. Support Two Sides, a non-profit that fights corporate greenwashing on our behalf. 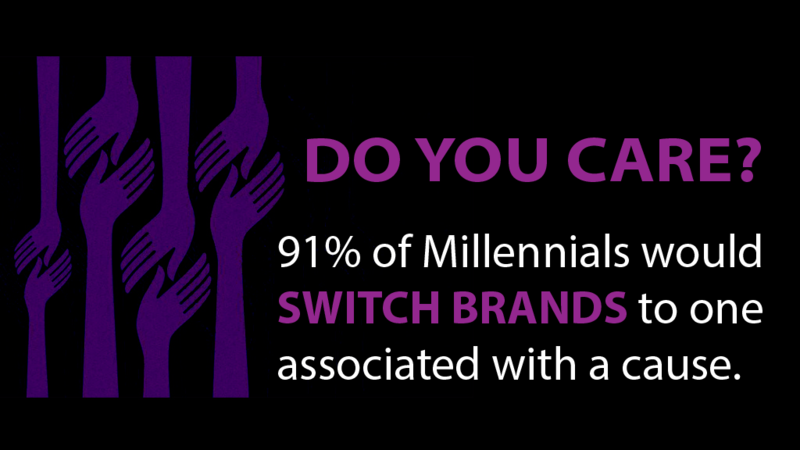 There are more options, ask your industry org of choice for some suggestions. 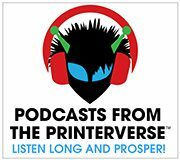 If you have a cause to share with the Printerverse, please leave a comment with the info – even better – share the link to YOUR site where this info lives! 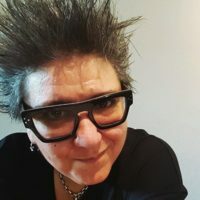 Deborah Corn is the Intergalactic Ambassador to The Printerverse™ at Print Media Centr, a Print Buyerologist™, industry speaker and blogger, host of Podcasts from The Printerverse, cultivator of Print Production Professionals the #1 print group on LinkedIn, Head Girl in Charge (H.G.I.C.) at GirlsWhoPrint, host of #PrintChat every Wednesday at 4PM ET on Twitter, the founder of International Print Day and the founder of #ProjectPeacock. She is the recipient of several industry honors including the 2016 Girls Who Print Girlie Award and sits on the boards of the Advertising Production Club of NYC and The Magazine Innovation Center at the University of Mississippi. Calling all Girls Who Print!! The Women’s Print Mentoring Network is open, FREE, and ready to match mentors and mentees. Sign up today!